Steph Curry and Under Armour are set to release their latest “Dub Nation” Curry 6 colorway that nods to the people and the process that ignited the Warriors’ success. 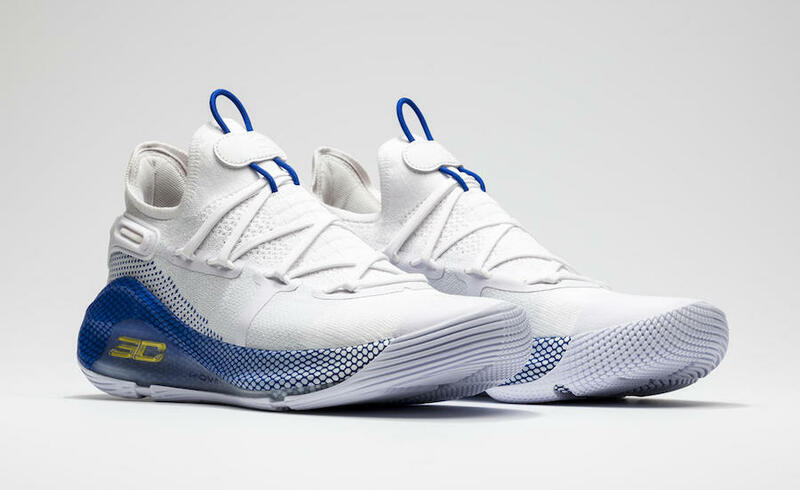 This Curry 6 sports a bright and crisp White knit upper, atop a solid rubber split outsole for maximum traction, and gets cushioning from a Royal Blue full-length HOVR midsole, state-of-the art cushioning technology from the minds at Under Armour. Yellow accents match the now iconic Warriors home jerseys for a look that is undeniably all about Dub Nation – on or off the court. Look for the Under Armour Curry 6 “Dub Nation” to release on April 5th at select UA retailers and UA.com. The retail price tag is set at $130 USD.